One of the more unusual movie tie-ins is being launched this week, and it’s all about giving you a hero you can keep with you. 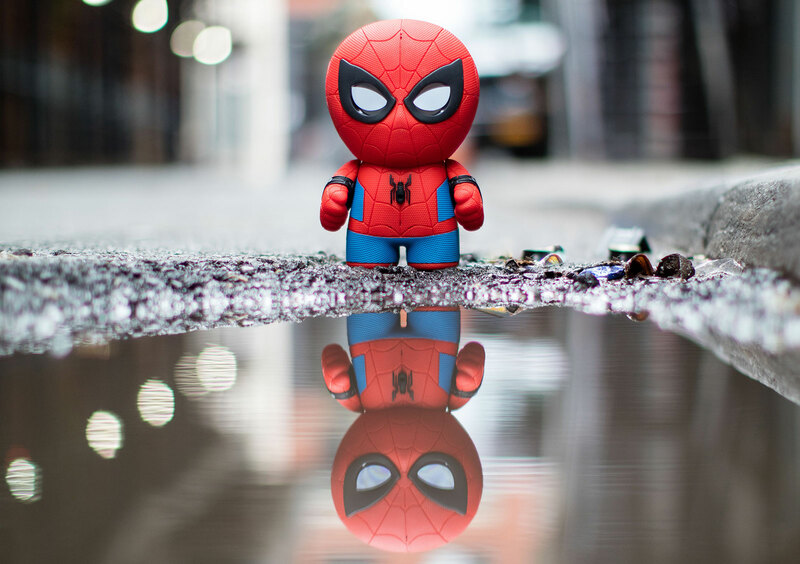 With the new generation of “Spider-Man” on the way to the movies in the next few weeks, it makes sense for toy stores to get their action figures, web slingers, and anything else that can allow kids to relive their fondest memories of the movie, and possibly some adults, too. In that last category, the makers of the Sphero robotic ball, the remote control BB-8 from “Star Wars: The Force Awakens”, and the most recent robotic car from “Cars 3” have something new, and like the Cars 3 robot, it’s a very different gadget. 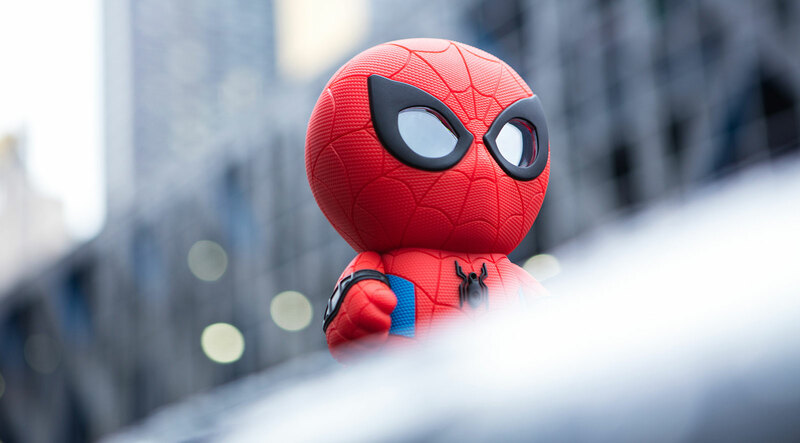 It’s Spider-Man, but not really found in the same form Sphero has been engineering, because he’s not a robot per se. Rather, Sphero’s Spider-Man is a little different, and more a robot that won’t move by himself, but will communicate with you and let you take him on adventures. A different beast altogether, Sphero’s Spider-Man uses sensors, an app, and Bluetooth to “sense” what’s going on, creating what is basically a Spider-Man themed variation of an augmented reality game with a physical counterpart, telling you what’s around, encouraging you to fight the bad guys, and basically using an app made for both iPhone and Android to have fun with Spider-Man. In a way, it feels as though the Sphero Spider-Man is a little like an extension of the Force Band released for Star Wars’ remote control BB-8 last year, which not only allowed people to control the Sphero BB-8 with gestures, but also acted as a walk-around augmented reality game, much like Pokemon Go except with Bluetooth, an accelerometer, and a physical controller. Sphero’s Spider-Man in some ways feels similar to this, but in a much larger capacity, with a microphone that can listen to your phrases and respond, and with an app that you can take on various adventures. Sphero has thrown in some neat features, such as LCD eyes that blink and narrow, as well as a fairly wide and varied talking engine, so expect him to throw some chatter your way. One thing’s for sure, the Spider-Man gadget isn’t like your regular Sphero robot, with no moving parts and a small charging plate to stand on. Instead of moving parts, you’ll be the one bringing him around, exploring the world with a fairly sizeable 680 gram toy. 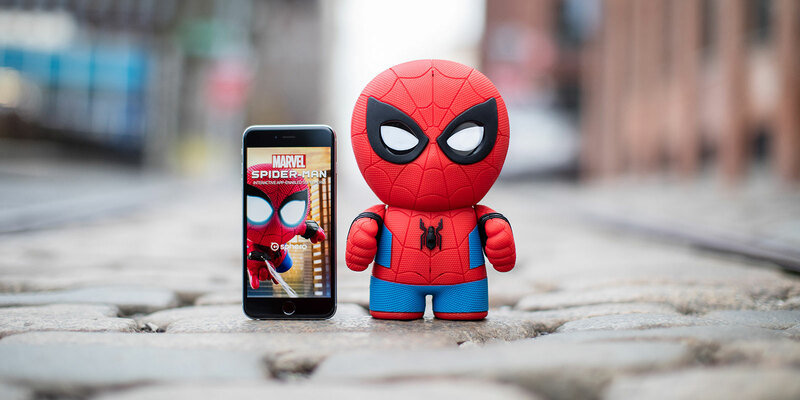 Pricing of that 680 gram Sphero Spider-Man chimes in at $250 locally, with availability at EB Games, Zing, and Apple Stores in the coming days.